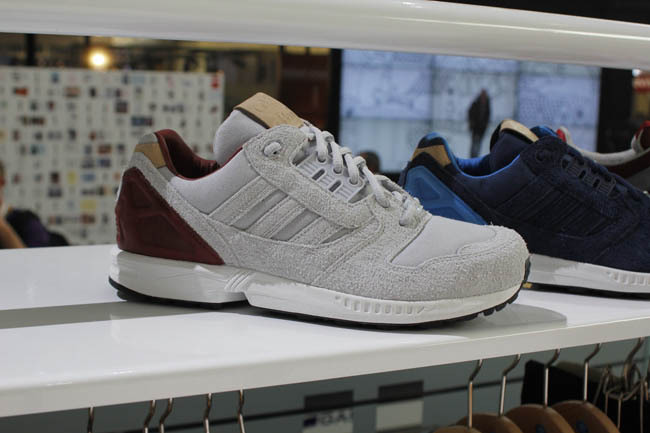 Originally launched in 1985, the adidas Originals ZX 8000 runner is back for another round this year, previewed at the Bread & Butter Trade Show in two new colorways for the Fall/Winter 2012 Collection. First up is a pair decked out in premium navy blue suede and canvas, accented by light blue along the interior and the external heel counter. Tan leather detailing also appears on the tongue and heel, while a white midsole and black rubber outsole caps off the look below. Joining that pair is a grey suede-based look, complemented by burgundy on the inner liner and heel counter. Like the navy pair, tan leather accents appear on the tongue and heel. Once again, a white midsole and black outsole provide the finishing touch. 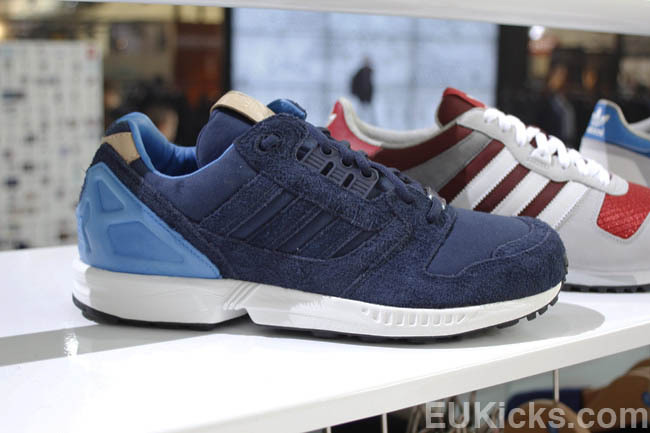 Look for these ZX 8000 styles to hit adidas Originals retailers this fall.